Steven L. Einig, an attorney for the lender plaintiff in the case, filed for a summary judgment last month to foreclose on the building but agreed during the conference to grant Potter more time to prepare. Both sides are expected back in court for oral arguments in January. 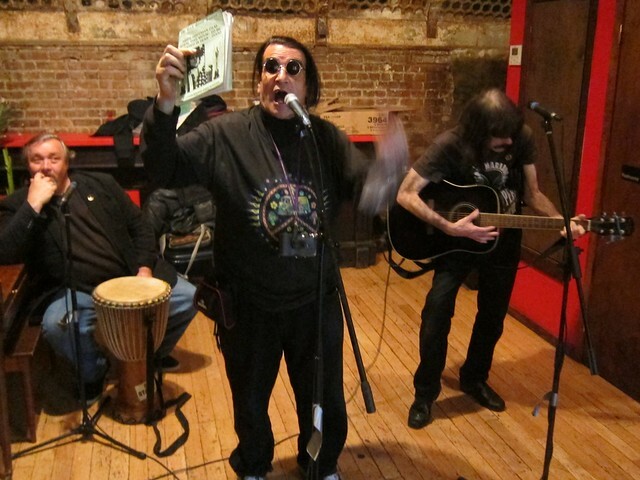 Sala said he had participated in Yippie-led May Day “pot parades” organized at 9 Bleecker Street, referring to the Global Million March for Marijuana that Beal helped organize, and said that U.S. concerts for “Rock Against Racism” grew out of the building with Beal’s help. For further information on Beal, check Free Dana Beal on Facebook.